Instagram has launched a game changing new feature that will turn the social network into a behemoth marketplace. We mentioned this in a previous article Instagram Shopping Checkout. Today we’ll be looking at how you can take advantage of this to increase your sales from Instagram. Later, we’ll also talk about a feature Instagram is developing to further revolutionise E-commerce. Let's begin with the feature that could be the biggest development in the online marketplace in years, the Instagram Shopping Checkout. What is Instagram Shopping Checkout? 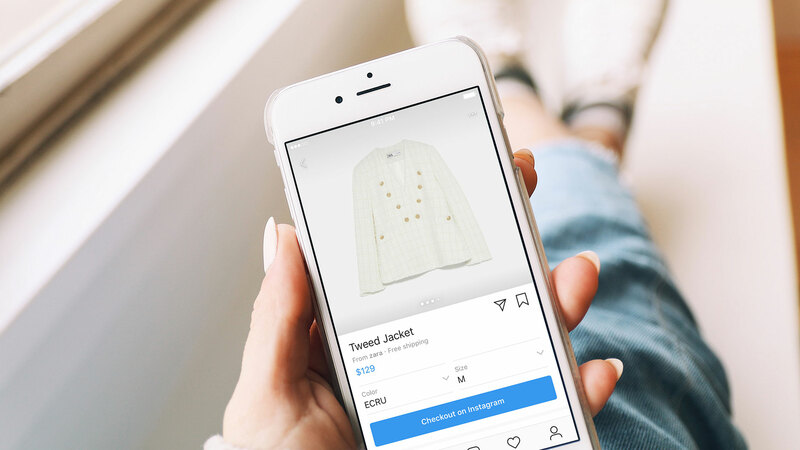 Instagram Shopping Checkout is a feature that Instagram has in development that will enhance both user experience and make it so much easier for you to increase sales on Instagram. As Vishal Shah (Head of Product @Instagram) says, users are constantly discovering new products and actively want to convert. In an interview with business newspaper Expansión, Marc Elena, CEO of Adsmurai, says "To make a purchase on Instagram you had to go through a long process. Exit the app, open a browser and enter your payment details. Improving the user experience will get people to spend more time inside the application." Isn’t it the same as ‘shoppable posts’? No. There are similarities, but IG Shopping Checkout is superior, both in terms of convenience to customers and benefit to businesses. It certainly appears that shoppable posts have been a success for Instagram thus far. This is indicated by the fact they're continuing to develop and improve it. How does Instagram Shopping Checkout work? A user needs to enter payment details only once and can then begin making purchases, without needing to leave the app. This could be a huge development for Instagram and those who advertise on the app, as users no longer have to leave and go to a separate website. A step-by-step how IG Shopping Checkout works. Tap the product they want to purchase. Click the 'Checkout on Instagram' button. Enter payment details (for the first and only time). That's it, you receive a notification from Instagram when the product has been shipped and another when it has been delivered. All completed without once leaving the Instagram app, creating an all-in-one social media buying process. But why have they done this? What's the point? Instead of taking users to a landing page on the company website, the buying process is shortened. Reduced by the number of clicks it would take to complete a purchase and the length of time for your landing page to load. Instead, the picture that enticed users to click almost becomes its own landing page. We’ve mentioned it in a previous article Instagram Shopping: The New Showcase but things are now heading into the next phase. The feature is still in the alpha stage of development and so still has some way to go before public release. Instagram has only made this feature available to a few select brands to try out. At the time of writing this is only available in the USA, this will be expanded worldwide when bugs have been worked out. This might explain a few whispers you’ve heard in your community about a revolutionary new feature and why you don’t have it. You would be forgiven for thinking why can my competitors use IG Shopping Checkout but I can’t? Simply because Instagram needs to iron out the bugs and judge its utility. If and when this is released to the wider world, (it will be) you simply must take advantage of it. Instagram has 1 billion monthly active users, and they’re constantly being exposed to new content. I’m sure it's similar for you, check your feed, get distracted by interesting ads or move to Explore to see related posts to entertain yourself for a few more seconds. So, consumers on Instagram. They see your product, they ‘Like’ it, they move onto the next. How often does a user go to the effort of leaving Instagram, go to your site, enter their details and checkout? Sure, it happens, but think about the buying process. Any marketer worth their salt knows that the shorter and easier the buying journey is, the more likely a purchase will be made. Asking a consumer to leave Instagram, visit your landing page and complete the process is too long-winded. Especially nowadays when purchases, feedback and customer support are expected to be both personal and instantaneous. It’s equivalent to showing someone an interesting product in your shop, convincing them how great it is, but when they want to buy you say ‘Ok but you have to go over the road to our other shop to make the purchase’. Would you, as a consumer? Maybe, maybe not, the dress, or whatever product it is, goes back on the shelf and the consumer moves on. In not doing everything you can to shorten the buying process, you’re leaving money on the table. The Instagram Shopping feature will remove a huge barrier to a potential purchase by keeping everything in one place. Payment details will have been entered previously, meaning consumers can simply click to buy. Decreasing the perceived difficulty of the buying process increases the likelihood of users becoming consumers. Essentially, with this feature, Instagram is putting your product in front of an audience that is ready to shop. This will likely lead to a high conversion rate. What will the Instagram shopping feature mean for me? 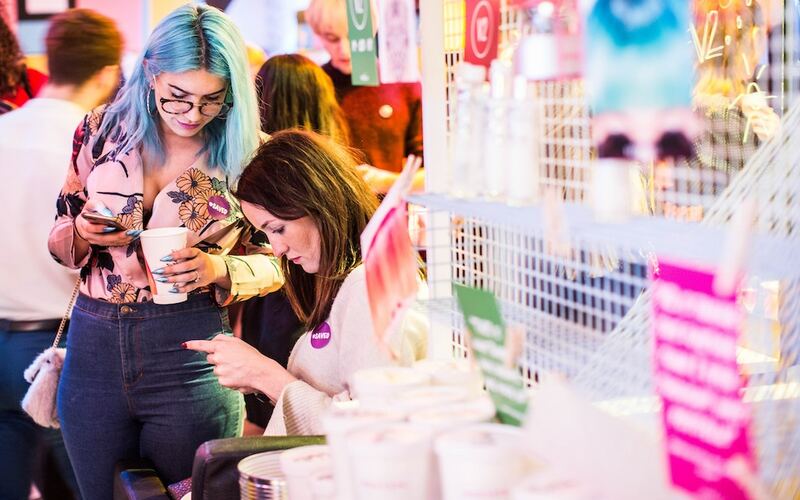 For a business using Instagram to raise the profile of the brand and bring your fantastic products to consumers, Instagram Shopping is BRILLIANT. As I said earlier, it makes the buying process shorter, quicker, easier. There are factors to consider if you’re a multinational organisation but we’ll speak about them and what Instagram is doing to help you, at the end. In a nutshell, it’s great. As a consumer, it’s much easier to see things we like and get what we want in a few clicks. Could this make Instagram a strong new competitor in the field? I have to include this as Instagram is a stakeholder in this process, for them, launching the feature is great. If it wasn’t, why would they do it? It keeps people on their app longer and enhances user experience. 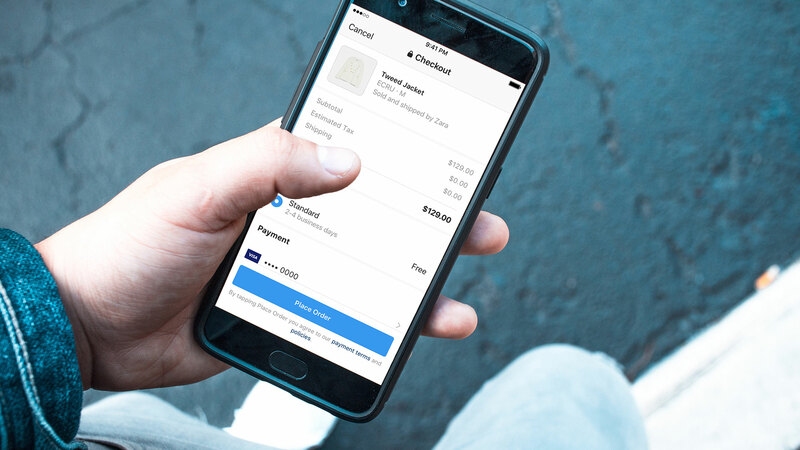 How will Instagram make money from Checkout? Instagram will make its money from ads, and from charging a 'selling fee' intended to cover transaction costs, although the exact figure is unclear at this time. How to connect my E-commerce to IG Shopping? 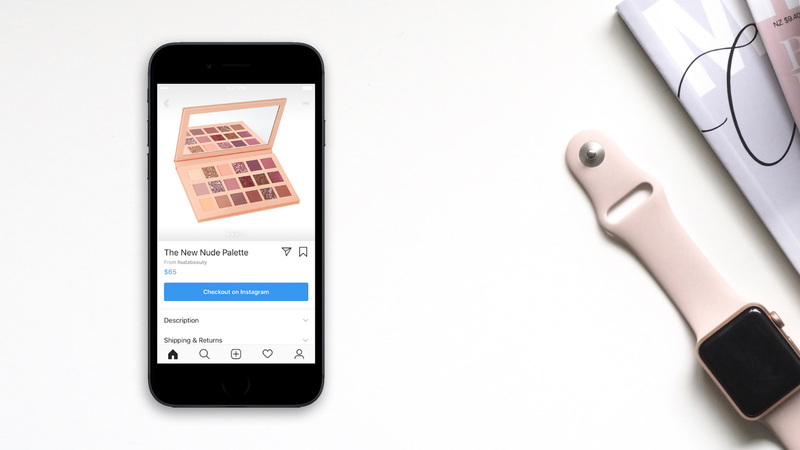 When the shoppable posts feature went live, users needed to meet a few requirements in order to monetize Instagram posts. I tell you this because it’s likely similar requirements will be necessary in order to use the Instagram Shopping feature. So, let’s find out how to create shoppable posts (feel free to skip ahead if you already know about shoppable). The account you’re using must be a ‘business profile’ not a personal one. You must be the admin. Have a product catalogue connected to your shop on Facebook. 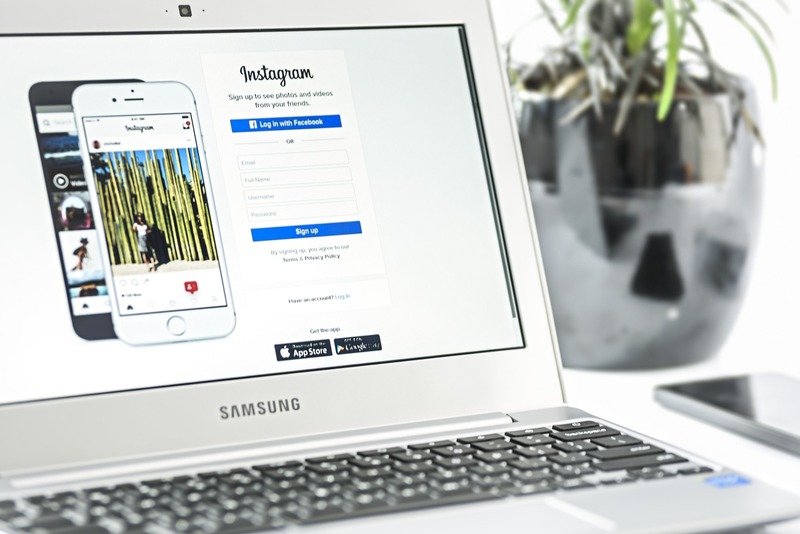 *See the next section 'How to increase sales on Instagram: Feed composer' to learn how connecting your product catalogue can be optimized to ensure you get the greatest ROI in terms of time as well as ad spend. Send the request and wait a few days for approval. What you’re selling must be a physical good, it’s not possible to sell services. Upon approval, you can start tagging products. Click to upload a new photo and tag up to 5 products. Get this setup ASAP so that when IG Shopping Checkout hits the live release phase, you’ll be ready to take advantage of it! 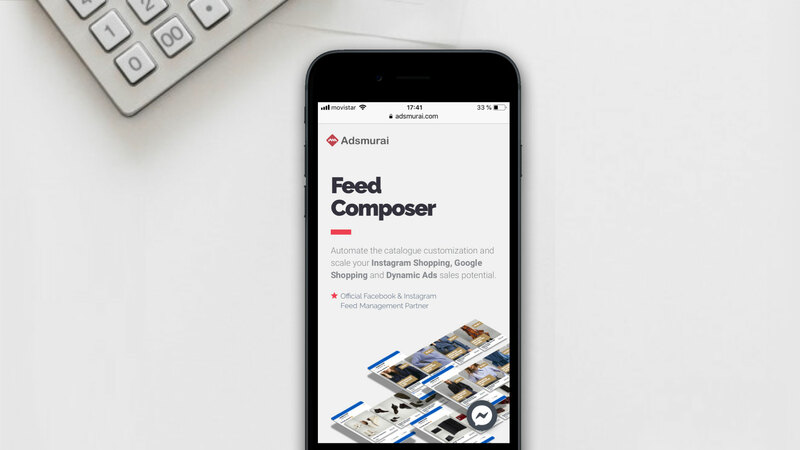 Adsmurai's Feed composer is a great way of reaching potential customers, bringing them content related to that which they have already expressed interest in. It makes creating and automating ads far easier, allowing you to customize your content for different audiences, and saving a ton of time doing so, let’s take a look at how. Feed composer allows you to use single images, carousels and Instagram stories. Once you’ve uploaded your product catalogue, you can personalize product images to attract clients and finally create the rules and conditions to target different members of your audience. This simple but effective process puts you in a perfect position to be ready for the moment the fully functioning feature is released to see your sales from Instagram skyrocket! IG Shopping Checkout is designed to reward the best content. Utilize customizable feeds to ensure your content is compelling enough to entice users and increase your sales on Instagram. You can find out more about feed composer and increasing Instagram sales here. There is a caveat to the new feature, one obstacle any E-commerce solution has to overcome has been around since the first time a user considered making an online purchase. Reliability. Instagram has already taken steps to provide this, in only allowing approved brands to use the feature. Another component of the feature mentioned earlier, can help users feel a little more comfortable when making purchases on Instagram. You do not simply click to buy and then sit and wait, hopeful that things work out. Instagram sends you a push notification when the order has been placed, and shipped. Instagram has clearly taken steps to provide the reliability consumers need when purchasing online which bodes well for all parties involved. The feature is a huge development in online shopping, but remember I mentioned Instagram is going further to revolutionise E-commerce? Well, they’re helping solve a huge problem faced by multinationals when selling on a global scale. If you have different consumers in different countries and continents, how is it possible to speak to them all? With Instagram Shopping Localized. IG Shopping is the next step in making an all-in-one social media buying process. But not satisfied with just one big development, Instagram is already trialing another feature to help multinationals, IG Shopping Localized. This feature is also in the alpha phase so don't expect it to be available in the near future! But what is IG Shopping Localized? Multinationals have different catalogues for different regions. Products are set at different prices, in varying currencies throughout the world. But so what? Well, offering a product in different currencies creates a difficulty for brands in that they have to choose a market to 'speak to' when advertising on Instagram. This means that whilst for a small, local business whose customers speak one language and live within one region, a ‘one size fits all’ approach works fine. For large multinationals however, a multi-market approach is vital. Offering a product in Euros to users in England can act as a barrier to purchase and the same is true for users in Spain being offered products in GBP. With IG Shopping Localized, brands can navigate around this problem and offer different products in varying currencies to selected markets. If you’re interested to keep up to date with IG Shopping Checkout and how to increase your revenue from Instagram, let us know!